The specific mechanism, of uptake of a nanoparticle by a cell and the subcellular localisation are of great importance regarding the potential effect of the nanomaterial inside the cell. In order to study health risks and the potential of a nanoparticle to be used in biomedical applications, cellular internalization has to be investigated in great detail. 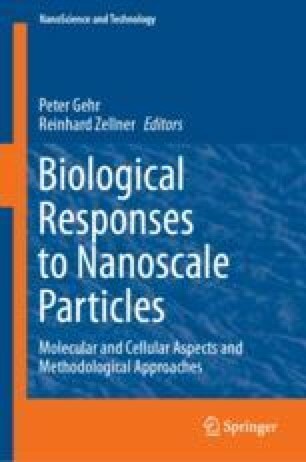 This chapter highlights most relevant routes of nanoparticle uptake and includes current approaches for the visualization of particle uptake at the nano-level.